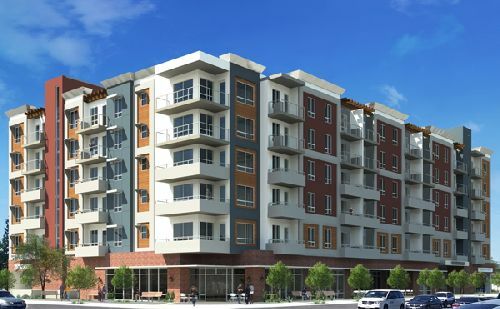 NORTHMARQ CAPITAL - David Blum with NorthMarq Capital arranged a $41 mil construction loan for Riverpoint/Warner Center, a 154-unit multifamily property located at 6801-6819 Canoga Ave in Canoga Park. The project is located a block away from the Westfield Mall and one mile from Pierce College. The loan was provided by a private lender. It was funded at 75% LTC with the flexibility of adding PACE financing after closing. NEWMARK – Demetri Koston with Newmark has arranged $21.75 mil in financing for Birch Hills Apartments in Pullman, WA. The newly constructed apartment property includes 281 residential units, primarily occupied by students at Washington State University. The loan is structured at a highly competitive 12-year, fixed-rate term with a bank based in the Pacific Northwest. The initial four years of the loan were structured as “interest-only”, followed by an amortization based on a 30-year schedule. The loan is non-recourse and requires no personal guarantees for repayment. GEORGE SMITH PARTNERS – Antonio Hachem, Wendy Wang and Bart Zucker with George Smith Partners arranged a $17 mil refinance of a 14 building, 120-unit multifamily asset located in the Arden-Arcade neighborhood of Sacramento. The loan, provided by a life company, includes $10 mil cash-out. The non-recourse loan has a fixed rate of 4.24% and refinanced an existing agency loan. Some of the unique features of this loan included: rate lock at application, assumption rights in the event of a sale and future loan advances/top-offs upon increase in NOI. MERIDIAN CAPITAL GROUP – Seth Grossman and Andy Strauss with Meridian Capital Group arranged $5.5 mil in refi money on The Covell Building, a 15k sf, mixed-use property in Los Angeles. Located at 4642-4632 Hollywood Blvd, the two-story buildings feature an array of retail tenants on the ground floors, including Homestate, Go Get Em Tiger, Covell Wine Bar, and McConnell’s Ice Cream, with Hotel Covell occupying the second floor of the properties. The boutique second floor hotel consists entirely of individually curated suites, each featuring a customized theme, complete with an array of design elements and amenities unlike any hotel in the market. As such, in addition to serving as a popular tourist and local getaway destination, Hotel Covell has become a favorite in the pop-culture scene for those working in the music, film, and television industry. The 10-year CMBS loan features a fixed rate and full-term interest-only payments.